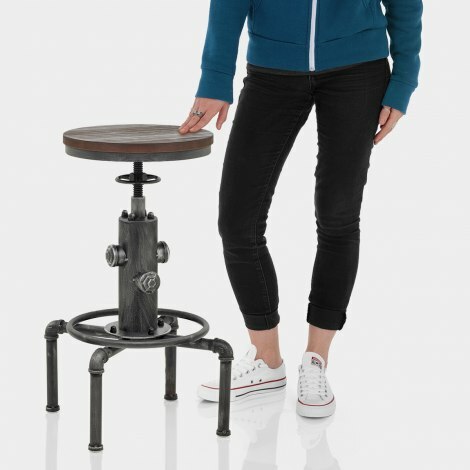 Your guests will be like moths to a flame with the Hydrant Stool Gunmetal. Its unique design is certain to bring a sense of innovation and personality to its surroundings. So soak up the vintage style of the Hydrant and let it make a lasting impression on your bar area. A round dark wood seat tops the design with a rustic finish, and is backless for easier storage under worktops. 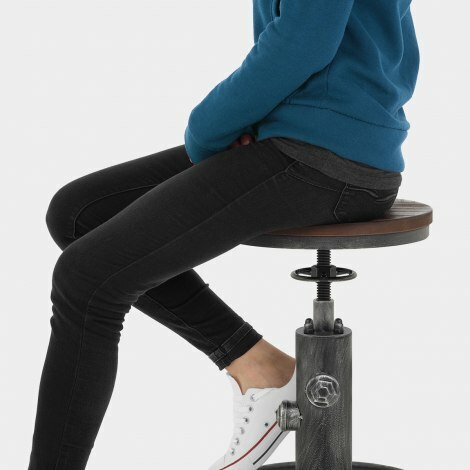 Beneath the seat is a screw thread for variable height, and it can also turn through 360-degrees. In true industrial style, the steel frame has a repurposed fire hydrant design, which is enhanced by the authentic antiqued gunmetal finish. 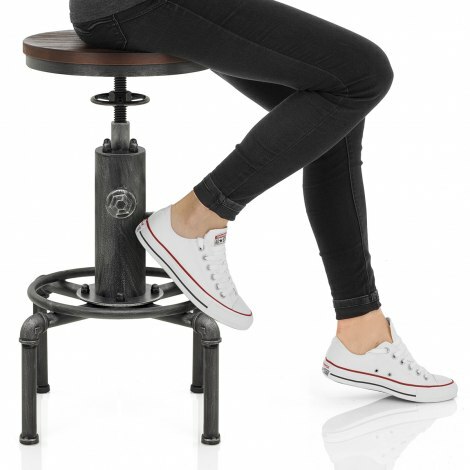 Water outlets are included to add to the realistic effect, and the four legs are fashioned like water pipes with an integral round footrest on top. "Absolutely love them !!! Arrived quickly"
Arrived within time stated just as it looks in the picture - easy to assemble. Exactly the right height for my breakfast bar. Absolutely love them !!! Arrived quickly, sturdy and look fantastic. Excellent service, excellent product! Enough said! Very nice, it's different and quirky. Very happy with these 2 stools, excellent service and a FAB product, thank you.